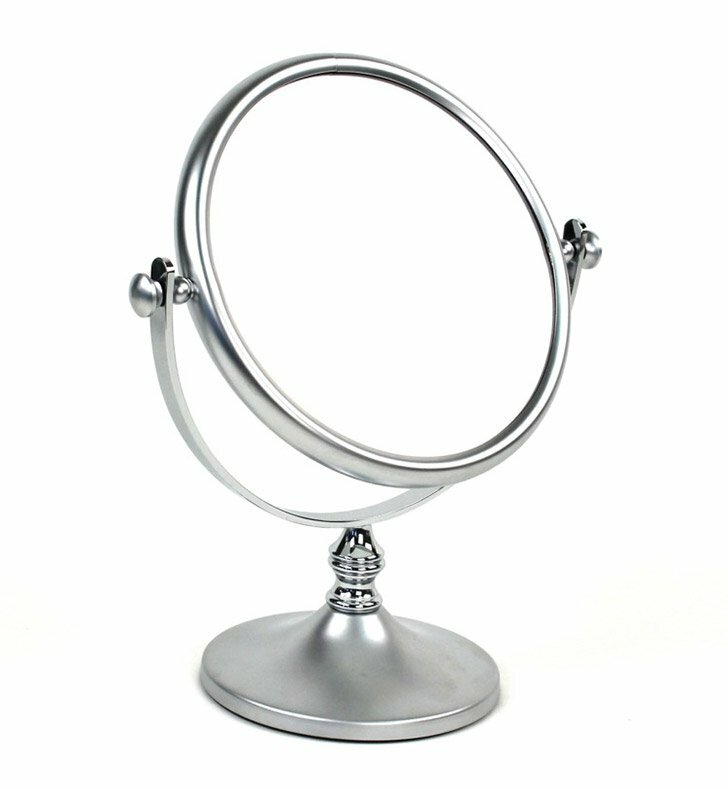 Start with this beautiful magnified mirror. 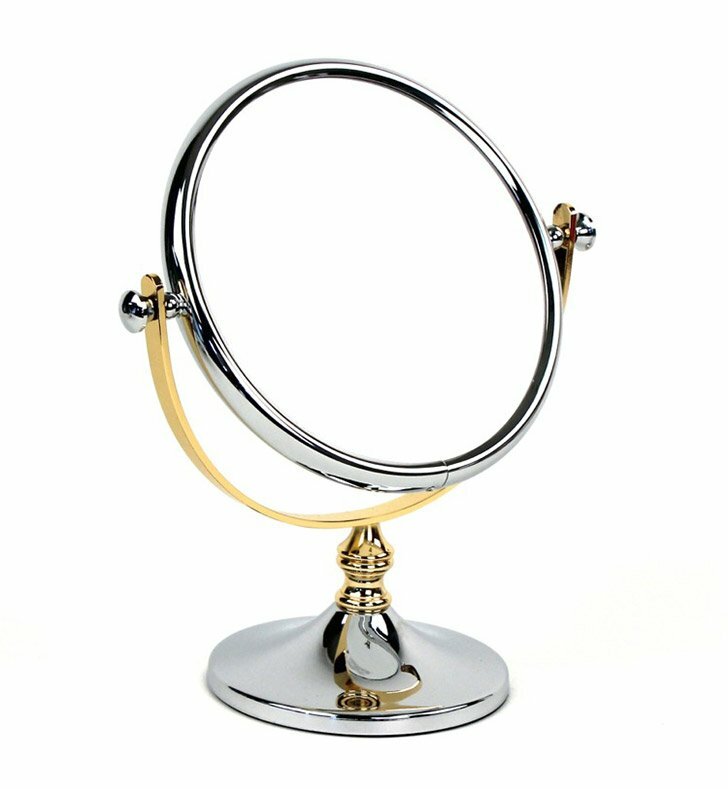 Free standing and available in chrome, chrome and gold, or gold, this brass makeup magnifying mirror compliments a contemporary & modern bath. Designed and made by Windisch in Spain. 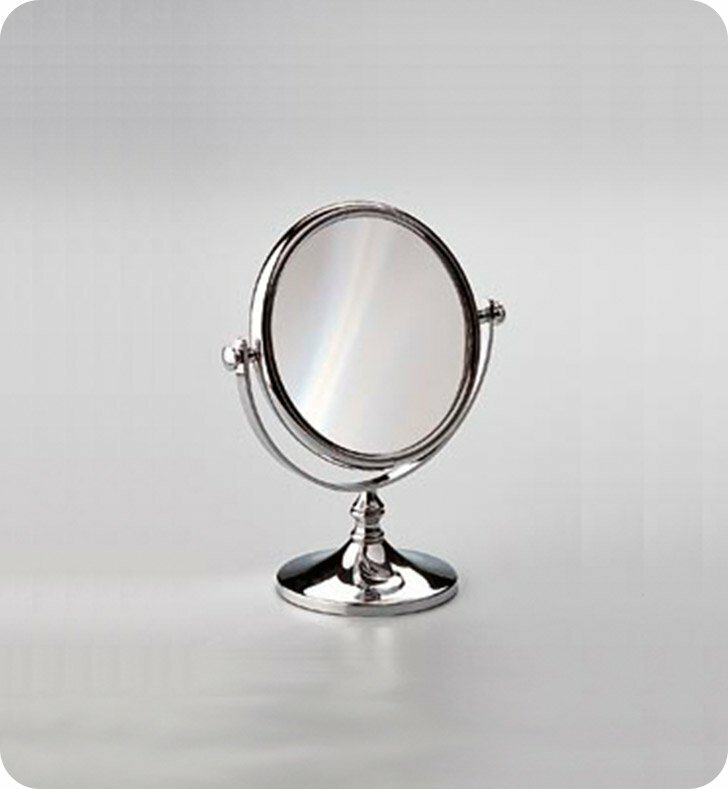 From the Windisch Stand Mirrors collection. Dimensions: W 6 1/2" x H 10"